Various Liberator editors had the chance to attend SXSW this spring. 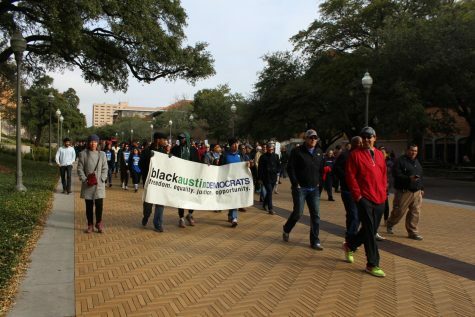 This column shares the experiences of one who attended SXSW Edu. When Austinite students talk about SXSW, we often mean music (did you hear Khalid came this year?) or film (will any students have their films shown this year?) However, the week before spring break, I went on an adventure to see their enthusiastic younger sibling: SXSW Edu, which focuses on educational policy. After three years covering education policy for the Liberator, and various committee shenanigans, I felt prepared—maybe even excited—to take on SXSW Edu. And overall, it was a blast, and an experience I’d recommend to every student. For me, passing period traffic jams and board meeting PowerPoints were replaced with the mile-long lines to try out VR headsets at Edu. But despite the abundance of interesting panels and well-meaning organizers, some things at South By seemed out of place. The pieces came together for me on the last session I attended. A three-hour roundtable group advertising itself as the “United States of Student Civic Engagement” caught my attention, so I dropped in to see what was going on. Some student activists and community leaders were featured—the first students I’d seen presenting all conference. For the first time, someone seemed to be talking directly to students— not to teachers about how to teach students to think critically about media, or to administrators about how school choices are parents’ constitutional right. What’s more, the presenters were talking to us like adults, capable of taking on responsibilities and leading our peers and occupying a seat at the ed-pol table. We eventually sat down at the tables and introduced ourselves to each other, which was when I noticed— I was one of only two students at the table at a session about empowering students. The non-students at my table, educators and administrators, seemed very supportive of student civic empowerment. But how effectively could this message be conveyed if I was one of only a few students there? Students only composed about 5 percent of SXSW Edu’s 2017 attendees, and 4 percent at other SXSW factions. In 2017, the latest year for which data is available, around 850 students showed up out of over 16,000 total attendees. SXSW Edu organizers have been working to bring in more students, including through a student advisory committee, which helped to make some events at the exposition center more student-focused and increased the student count this year. On Tuesday, there were dozens of other students exploring the expo center. However, for students looking to attend in the future, it is not uncommon to be toting a backpack and lunchbox in whatever room you’re in. It can feel like you are being talked about, or even talked over, instead of being invited in to the conversation. In this environment, with its paucity of student representation, is it even worth showing up to what can seem like a dry, policy-heavy, adult-dominated conference? The answer is a resounding yes. Even without taking the free stuff into account, it is worth the time commitment. This is because SXSW Edu forces students to think critically about the education they’re receiving, and what they want to get out of it. Although the impression can be of a boring bureaucratic conference, the reality is that although some panels are duds, many are buzzing with energy and an eagerness to improve education and think hard. Motivation abounds, as does an awareness of exactly how important high school education is—the same one we are receiving right now. During my time there, I traded calculus quizzes, english scantrons and a history essay for debate about racism, college accessibility, emotional talk about the role of media literacy, and a spotting of Education Secretary Betsy DeVos. The ability to actively participate in your own education is a gift that must be cultivated, and Edu does a solid job of beginning that engagement and empowerment. If you look in the right places, you can find some student-targeted sessions, such as performances by local student dance and music groups, a student startup competition and career mentorship sessions. 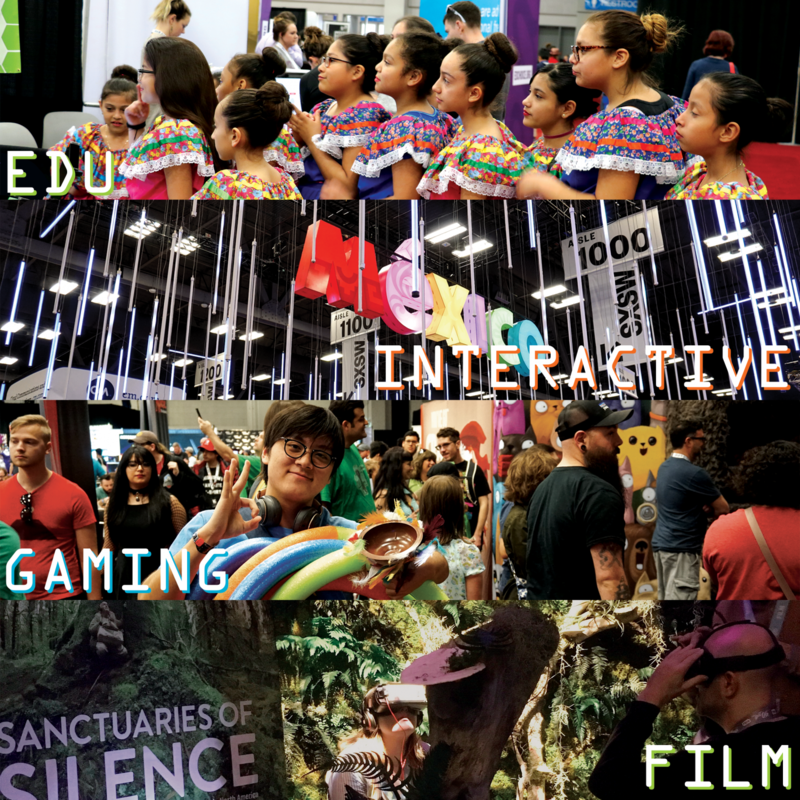 For one day of SXSW, the exposition center was lit up by students performing and exploring in it. So for students, especially during this moment of national prominence for student-led activist movements, it is worth it to take a more active role in one’s own education. To realize that you deserve a seat at the table, that your voice is just as important in educational policy as those of others. And hey, the virtual reality stuff is pretty cool as well.